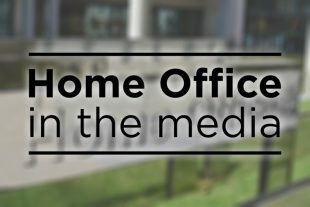 Today’s Home Office related stories include widespread coverage of US sanctions over the Skripal case and alleged Windrush case delays. There was widespread coverage in The Times, Telegraph, Guardian and Independent, among others, of the announcement by the US State Department that it was imposing sanctions on Russia after determining that Moscow violated international law by using a nerve agent against the Skripals in the Salisbury incident. The papers reported that the sanctions – which are due to come into effect on 22 August – could affect 70% of the Russian economy and 40% of the workforce. Russia will have 90 days to respond to the sanctions where they must provide “reliable assurances” they will not use chemical weapons in the future. If they fail to provide this, a second, more "draconian" round of sanctions will be imposed, according to a State Department official. A No10 statement welcoming the sanctions is carried widely. The UK welcomes this further action by our US allies. The strong international response to the use of a chemical weapon on the streets of Salisbury sends an unequivocal message to Russia that its provocative, reckless behaviour will not go unchallenged. The Independent and Today programme are among those reporting that Windrush citizens are being forced to wait months for their immigration cases to be resolved despite a government pledge to process them in two weeks. The Independent highlights that the Shadow Home Secretary Diane Abbott wrote to the Home Secretary on July 18 informing him that four of her constituents were still waiting for a response after being referred in April. The experiences faced by some members of the Windrush generation are inexcusable and it is clear that we must do what is needed to ensure that nothing like this happens again. The Home Secretary has said that it is his top priority to right the wrongs that have occurred. A lessons learned review, which will have independent oversight, will help ensure that we have a clear picture of what went wrong and how we should take this forward. But in the meantime, we are already reviewing existing safeguards to ensure that those who are here lawfully are not inadvertently disadvantaged by measures put in place to tackle illegal migration. Our taskforce is helping those who have struggled to demonstrate their right to be here are supported to do so and we have committed to setting up a compensation scheme.